Stop! 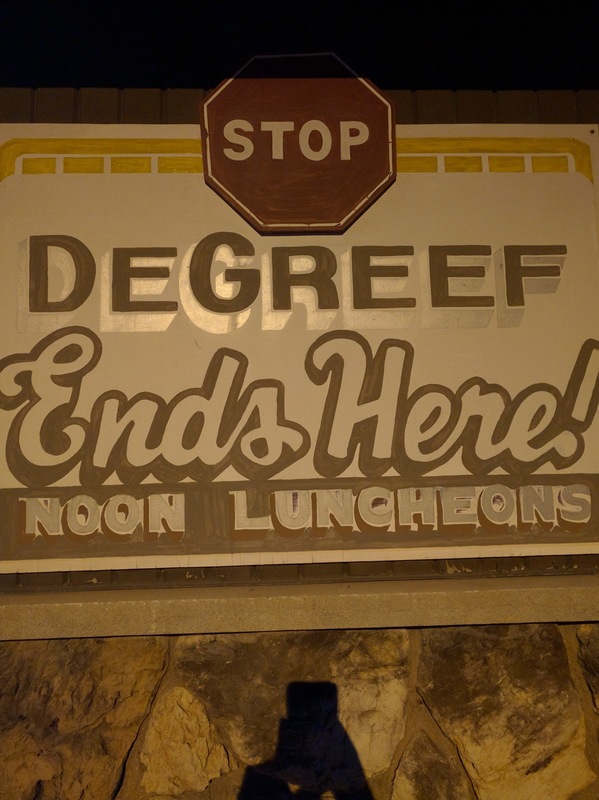 DeGreef Ends Here! Get it? If not, think about it. DeGreef is the family name of the family that runs this place, and I think they are on their second generation. This tavern is way out in the country in the small town of Wayside, which is outside my small hometown of Greenleaf, which is in the town of Wrightstown, another small town. And in small towns like this is where you find a good Friday Fish Fry. This time I went with my sister and 4 of my nieces, so 6 of us total. We arrived around 6:00pm and the place was packed. I found a spot at the bar just big enough to order drinks and see about putting our name in for a table. The bartender, also the owner, gave us menus and said when we're ready to order to let him know and he will send a waitress over. 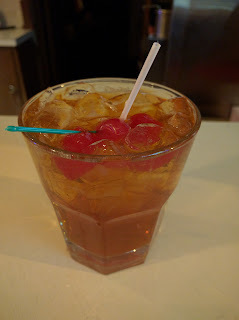 I ordered myself a brandy old fashioned, my sister and nieces all enjoyed cans of soda. There were a lot of people in the bar, DeGreef's is definitely a popular establishment with the locals. This being winter, in the country, there were plenty of snowmobiles parked outside and people in their snowmobile pants and coats enjoying beer, cocktails, and seafood inside. The kids were occupied with a pinball style game and a claw drop-they won 3 stuffed animals that night! We placed our order with a waitress and enjoyed some drinks and chatted as we waited for our table. There are a lot of people who stop by for a drink and order takeout, so the kitchen must stay busy. 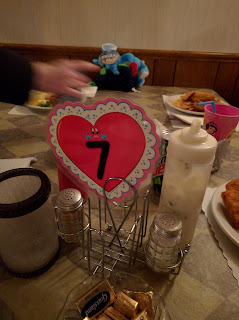 Our table was eventually ready and we were seated at lucky number 7. Arriving at our table, the food was presented with a bread basket, cole slaw and tartar sauce in the center to share. The perch was crispy and delicious, the fries were crunchy, and the slaw was tasty. 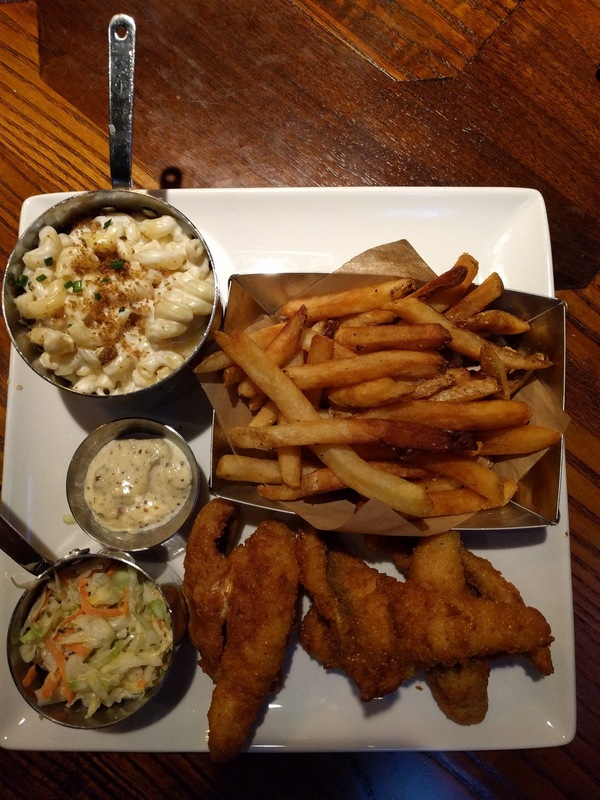 My sister had the broiled cod which was really good, and DeGreef's offers a variety of side options and we got french fries, broccoli bites, real deep fried cheese curds, and jalapeno poppers among all of us. 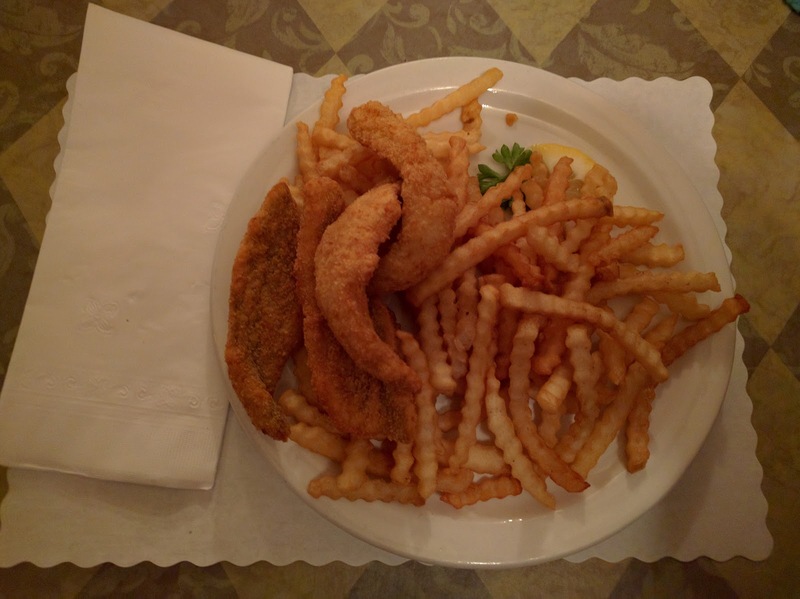 DeGreef's is a great location in the country for a tavern style fish fry. The establishment has been serving up food since I was a young boy and probably before that too. This place is kid friendly, and serves up a good fish fry. And for $10.00 for the perch place, it's hard to beat. 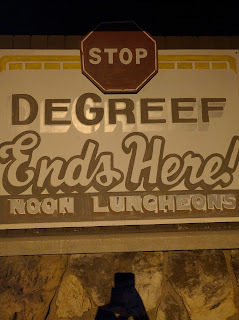 After a long week of work, you always know that DeGreef Ends Here! 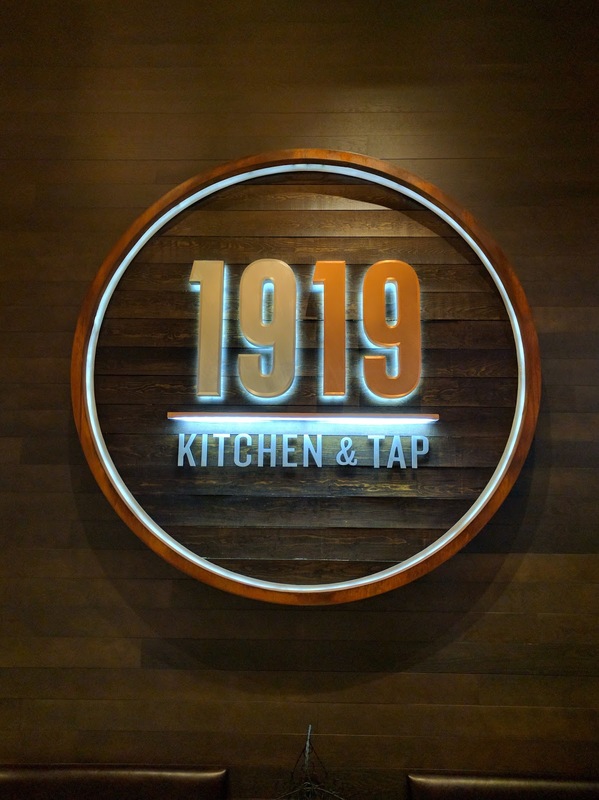 Located right at Lambeau Field, 1919 Kitchen & Tap pays homage to the founding of America's greatest team, the Green Bay Packers. Founded in 1919, the Packers are just as much a Wisconsin tradition as the Friday Fish Fry. The ambiance and decor is warm and inviting with a huge bar area with a good selection of beers on tap and an array of craft cocktails. The three of us arrived at 6:45pm to a mostly full bar and dining room with immediate seating. 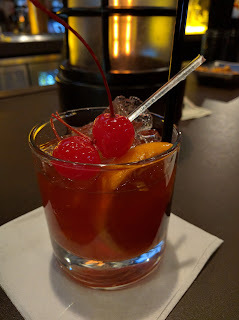 We decided to enjoy a cocktail at the bar first before we were seated, so we ordered a round of "the Definitive Brown County" Old Fashioneds. The drink was muddled and mixed by a knowledgeable bartender and served over ice-an excellent start to Friday night with a delicious Brandy Old Fashioned. We informed the host that we were ready to be seated and he brought us to one of the comfy booths. Above us on a balcony was a guitarist playing and singing live which provided for a great dining experience. It seems like every Friday night they have live music. There is an excellent selection of bar themed appetizers and we chose the Stone-Baked Pretzel with Curly's Ale Beer Cheese sauce. I tried to get a picture but some people were too hungry at our table to wait for me. The pretzel was freshly baked and delicious when dipped in the warm cheese sauce. Definitely recommend it for a great appetizer before your meal. 1919 Kitchen & Tap features their Fish Fry-Days with their own take on the Classic Wisconsin Fish Fry. One in our party chose the bacon grilled cheese which was phenomenal, but for us the fish fry was the reason we came. The perch was served hot and crispy with a delicious breading and came with a side of malt-vinegar tartar sauce. The french fries are hand-cut and seasoned nicely. The cole slaw was good, nothing over the top but a good solid cole slaw side. In lieu of rye bread and onion was their peppercorn mac & cheese. I have to say that while it was the right amount of cheesiness, it lacked in flavor and it could use something to kick it up a notch. All in all our experience from our hand-crafted cocktails to the live band to the fish fry was just what we were looking for. If you're looking for a Classic Wisconsin Fish Fry in a setting that pays tribute to Americas greatest team, 1919 Kitchen & Tap in Lambeau Field should be on your short list.